What is ISO 9001:2015 and what are the benefits for my business? ISO 9001:2015 is a standard that lays out the requirements for a quality management system. This standard assists businesses and organisations in becoming more efficient in the way it runs its business and improving customer satisfaction. ISO 9001 is the world’s most popular and commonly used standard for quality management systems. ISO 9001 can benefit organisations of any size and is a powerful business improvement tool. 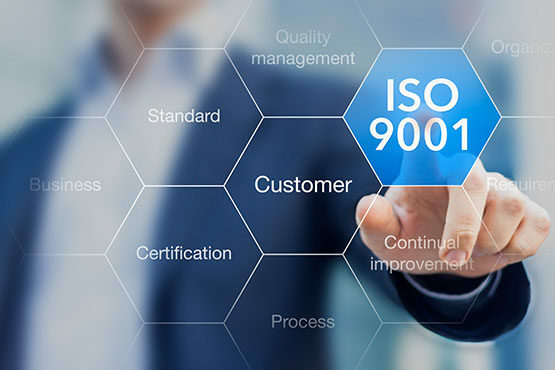 The newest version of the standard is ISO 9001:2015. ISO 9001:2015 uses the process approach, the PDCA cycle and risk-based thinking. What does ISO 9001 High level Structure look at? With experienced auditors in more than 65 countries and across all business sectors, DQS South Africa is your one-stop-shop for business solutions. Our holistic approach integrates assessments, audits, certifications, inspections and evaluation in order to guide organizations toward sustainable success. Let’s make it happen! Indicates that you offer products and services that meet the customer’s requirements, comply with the law and meet the organisation’s requirements. Assists in streamlining businesses processes and continually improve them. Reinforces the positive image of the business. ISO 9001:2015 has a ‘High-Level Structure’ (HLS), which means that all the core elements of the ISO 9001, ISO 14001, ISO 22000, ISO 45001 are the same, making integrations within these systems a great deal simpler. ISO 9001 places great emphasis on risk-based thinking, and this standard encourages organisations to use risk analysis to identify potential challenges. At DQS, we believe in the value and benefits of this standard, which is why we frequently host workshops dedicated to ISO 9001 and the facilitation of this standard. Contact DQS today to get more information about this standard and how your company can get certified.